The highly acclaimed Anglo-Irish Carducci String Quartet joins Julian Bliss, one of the world’s finest clarinettists, for a thrilling programme featuring immortal works by Haydn and Brahms, plus David Bruce‘s Gumboots Clarinet Quintet, “an engaging new work which deserves a place in the chamber repertory” (Gramophone). 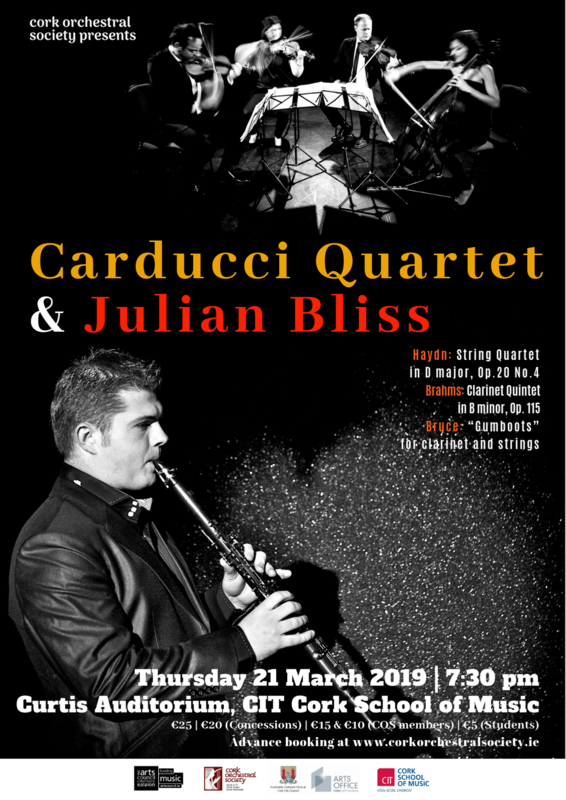 Julian Bliss is one of the world’s finest clarinettists, excelling as a concerto soloist, chamber musician, jazz artist, masterclass leader and tireless musical explorer. He has inspired a generation of young players as creator of his Conn-Selmer range of affordable clarinets, and introduced a substantial new audience to his instrument. Julian started playing the clarinet aged 4, going on to study at the University of Indiana and in Germany under Sabine Meyer. 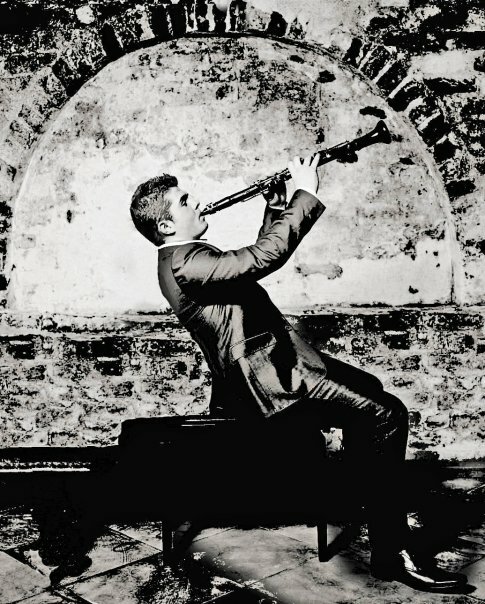 In 2010 he established the Julian Bliss Septet, inspired by Benny Goodman, and released the first Septet album in 2012. They have performed to packed houses at Ronnie Scott’s (London), the Concertgebouw (Amsterdam) and across the USA, including Jazz at Lincoln Center, and have gone on to explore the music of Gershwin and his Tin Pan Alley contemporaries. Album releases include his recording of Mozart and Nielsen’s concertos with the Royal Northern Sinfonia. His latest chamber discs include David Bruce’s Gumboots for clarinet and string quartet, plus the Mozart and Weber quintets, with the Carducci Quartet. Recent highlights include concerto performances with the Northern Chamber Orchestra, BBC Philharmonic and Royal Liverpool Philharmonic Orchestra, an extensive US tour with his septet, and concerts with the Carducci Quartet. Described by The Strad as presenting “a masterclass in unanimity of musical purpose, in which severity could melt seamlessly into charm, and drama into geniality″, the Carducci Quartet is recognised as one of today’s most successful string quartets.